In a highly unusual move a number of breaches of the Official Languages Act of 2003 by two state bodies have been reported to the Houses of the Oireachtas by An Coimisinéir Teanga (the Language Commissioner) Seán Ó Cuirreáin. Both the Health Service Executive West (HSE West) and the National Museum of Ireland have been charged with failing to implement Irish Language plans under the Official Languages Act of 2003. ‘An Coimisinéir Teanga, Seán Ó Cuirreáin today revealed that both the HSE West and the National Museum of Ireland have been found in breach of statutory language provisions. Apparently both organisations (paid for by your taxes) were repeatedly contacted by the Office of An Coimisinéir Teanga to resolve the outstanding issues in their mandatory Irish language policies but had failed to respond in any meaningful manner. The so-called Language Schemes required by most government bodies are designed to ensure a fair and equitable service for both of Ireland’s language communities, and have been a legal obligation since the implementation of the Official Languages Act of 2003. However the failure of state bodies to draw up and put into place these schemes is almost commonplace, and the dominance of the civil service by the Anglophone elite has meant wide scale institutional resistance and hostility to the Languages Act and An Coimisinéir Teanga. In the case of the two named and shamed bodies this foot-dragging is even more reprehensible when we look at their areas of responsibility. One, the HSE West, serves the health needs of the West of Ireland, where a sizeable minority of the population are native or fluent Irish-speakers and where there is widescale support for the language (read and listen to more here). Apparently the HSE is of the opinion that the Irish speaking citizens of this nation are of somewhat less value than their English speaking counterparts! (ii) did not sustain or promote the Irish language in fulfilling its functions in the provision of the National Museum’s calendar of events. The National Museum of Ireland is among a limited number of public bodies for which the Oireachtas has confirmed specific statutory language provisions requiring it to have sufficient staff with competence in Irish to allow it to provide services in the two official languages of the State. As a result, the National Museum could not be considered in the same manner as other public bodies which did not have those statutory duties. It was clear, from the information provided to the investigation, that the National Museum had not taken appropriate account of its language duties when recruiting new staff. It was a matter of surprise and disappointment to me that the National Museum did not fulfil its commitment and that the calendar of events was published in English only in January 2011. The National Museum did not inform my Office beforehand of its intention not to adhere to the agreement we had made. The National Museum of Ireland is a wonderful organisation and place, full of dedicated (and often selfless) men and women, and they are disgracefully underfunded (the budget for the Museum is simply derisory). Yet, this does not excuse putting the needs of the Irish speaking community behind those of the English speaking community. Especially in such a nationally important institution. 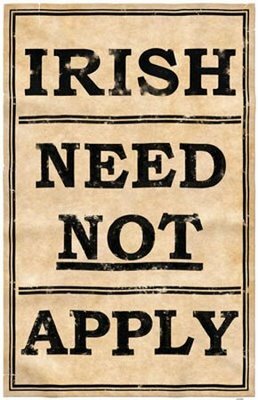 No doubt in the coming days we will hear the usual bigots in the Anglomedia establishment whining about ‘being forced to give’ the Irish speaking population of Ireland equality with the English speaking population – and how it must be brought to halt, and if possible reversed. These modern advocates of the old Statues of Kilkenny would have language Apartheid in Ireland continue unabated, or taken to the next level (use your imaginations for that one, a chairde). Which is why all fair-minded and right-thinking citizens of this state must support An Coimisinéir Teanga is his struggles with the pampered institutions of the state, with their fat-cat civil servants and golden circle existences. There is a wider world, and a wider Ireland, outside their narrow horizons, and if they are not willing to change, and leave the days of the Pax Britannica behind them (King’s Birthday, Empire Day and all), and join the rest of us in the 21st century, then it is time for them to go. And to go now.